Need a New Roof? Budget Your Tax Return! We have had our first few decent snowfalls causing ice or snow accumulation. This is typically the time of year you begin to realize it may be time for a new roof. Winter may have wrecked havoc on your aging roof, and you have finally decided this is the year you will replace your roof. Fortunately, tax season is upon us, and your tax return could make it easy when budgeting for a new roof. calling early for an estimate might be just the ticket. Yes, replacing your entire roof is a costly repair. But, over the years think of how much money you have spent on repairs. This doesn’t include the money you will be spending in the years to come. Roofing repairs can patch up a problem temporarily, but over time more repairs will be needed. When a new roof is needed, wouldn’t you want to pay for it now instead of adding thousands of dollars by doing repairs first? If it seems like you are constantly spending money on roofing or gutter repairs, contact us today. We will discuss a full roof repair for your home. You may keep telling yourself “I’ll never have enough money to replace my roof.” We make roofing affordable for you! Use your tax return to pay for a new roof in Michigan. Our professional roofers in Michigan will discuss what it is you need and want from your new roof. You can customize the look of your roof, changing the entire look of your home! Not only will you be fixing your roofing problems, you will be adding to the value of your home! Choose your shingle style and perfect your gutter drainage system! Having a new roof put on your home isn’t something that you have to do all the time, so take the opportunity to make your home look the way you want! 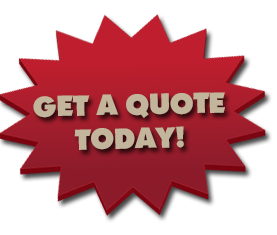 Contact us today to discuss all of your roofing or gutter needs! This entry was posted in New Roof, Roof repair, Roofing Company and tagged budgeting for a new roof, Michigan roofing company, professional roofers, roof replacement, Tax returns for new roof. Bookmark the permalink.